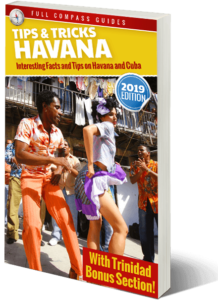 I have read most of the Havana Guide and one thing that worries me about using CUP ( Moneda National) is that if you are a foreigner Cubans will always try to stop you from using their money because as a tourist you should not use their currency it stands against their revolutionary believes. Hi Carlos, I’m not saying that your friend is not telling the truth, but I would be skeptical of this story. The two currencies are interchangeable. 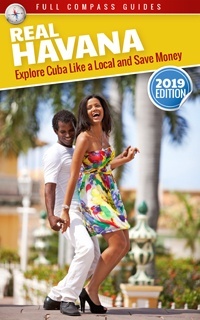 In many locations, especially in Havana you can now pay for items in CUC or MN, and in fact, these days prices are indicated in both currencies in most state stores in the city. So, in many ways there is little difference between the MN or the CUC.. just that you have to do the exchange rate in your head before paying for the products. I have never had any problems going to Coppelia. It is not reserved for locals at all. There are people from all countries in the line. Maybe the Cubans there played a joke on your friend or maybe the owner of the other ice cream shop (the CUC place) was just trying to recruit foreigners into his shop to make money, so he invented this strange “rule.” There is nothing in the Cuban revolution against foreigners using the MN. And I have never even heard of a story where a foreigner was prevented from paying in MN… BUT OF COURSE, SCAMS DO OCCUR. Don’t fall for scams in Cuba. This goes for any country in the world. As a tourist, you have as much right to be in the city and go to the stores as the locals do. Just because somebody might tell you something, does not mean that you have to believe them. Like any major city, there will always be people who have a scam and try to make money from it. In New York, or Havana, or anywhere else, it’s the same thing. Don’t feel intimidated. You can use MN like any of the locals. And in fact, Cuba will probably be getting rid of the CUC soon, so then you will have no choice but to use the MN.. It will be the only currency. So, start using it now, and buy like a local would.